August 1st is the 213th day of the year (214th day in leap years) in the Gregorian calendar. There are 152 days remaining until the end of the year. On this page, we have placed information about August 1st, including famous people born on, historical events that occurred on, holidays and observances that fall on, and astrological connections of, this day. 1834 Slavery is abolished in the British Empire. 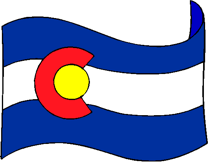 1876 Colorado admitted as a 38th US state. 1894 The first Sino-Japanese war begins between Japan and China over control of Korea. 1914 Germany declares war on Russia beginning World War One. 1960 Islamabad declared the capital of Pakistan. 1960 Benin independent from France. 1965 Cigarette advertising banned on British televison.